Majella always assumed she would fall into motherhood as easily as she has fallen into everything else in her life. She has never NOT been a success and has no reason to think that having a baby would be any different – until an extremely long labor throws off her birth plan and forces her to have a c-section. From that point on, Majella is plagued with doubts and fears, including a horrifying vision of dropping her baby. Majella has a strained relationship with her own mother, and now she is beginning to think that she is genetically predestined to be a bad mother – a theory that is supported by a diary she finds in the attic, which seems to show sometime terrible done by an ancestor of hers. That ancestor is Ginny Doyle. Before the Potato Famine hits Ireland, Ginny and her family seem to be in fairly good shape. In addition to their potatoes they have a wheat crop and a small vegetable garden. Even when the famine first hits, this is enough that her family can pay their rent and even have a bit to eat. When the blight spreads and the famine fails to end, the Doyles begin to face the same starvation as their neighbors. Ginny’s husband heads to America in order to try to make money to send home, but when she doesn’t hear from him months after he leaves, Ginny must do whatever it takes to feed her children – even if it means leaving them alone. YOU GUYS SO GOOD. Seriously. I have no idea how Cummins took a storyline about modern motherhood – complete with postpartum depression and a quite impressive potty mouth – and successfully married it with a storyline about a mother doing what it takes to get her family through the Great Potato Famine. Typically in dual time period novels one story is primarily in service to the other, but in The Crooked Branch both stories are equally important, equally well-drawn. Okay, but if there are two equally strong stories and they are so different there must be discord between them, right? WRONG! 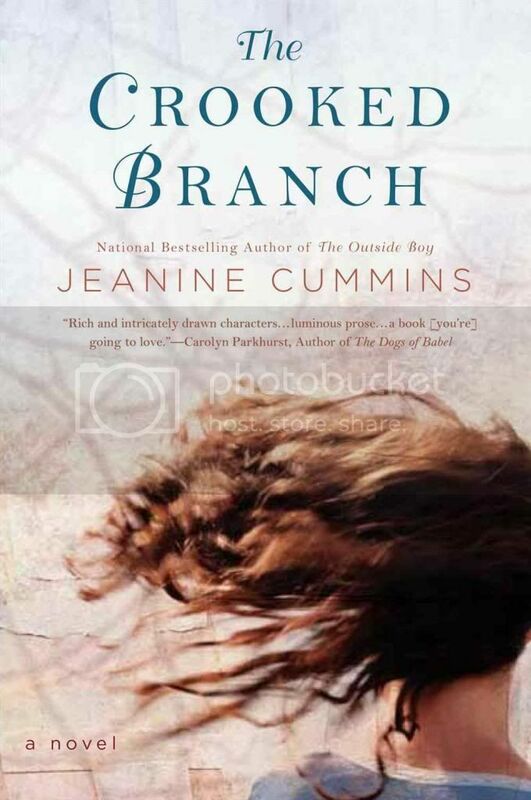 Cummins makes the theme of family the primary concern of the novel, and with the familial connection between Majella and Ginny it all just WORKS. The Crooked Branch is a wonderful book that I strongly recommend not only to readers, but also to anyone who wants to write a dual time period novel. Readers, enjoy; writers, study. Soooo, yeah. How do I review Jared Diamond? To be completely candid I am not qualified to much about the content of what he says, other than that it seems to make sense to me. I understand the criticisms that a) not all of our ancestral societies were quite alike; and b) that pre-contact of the 20th century will have evolved from what they were like 4 thousand years ago. Okay, granted. However, I reject the idea that this means that Diamond’s book is irrelevant. Maybe this is the crazy talk of a layman at work, but it seems fairly clear to me that pre-contact societies live lives that are significantly closer to those of our ancestors than those of us in WEIRD (Western, Educated, Industrialized, Rich, and Democratic) nations. I find it likely that they have, in the past millennia, found better solutions to the problems that plague humans living in small bands and tribes, but the immediate pressures on them are quite different than the ones most of us face from day to day, as any quick search of #firstworldproblems on Twitter would show you. And still, even if both Diamond and I are 100% wrong that recent pre-contact societies have any similarities at all to the lives our ancestors lived, the fact remains that looking at peoples still living more traditional lives gives us a greater range of solutions to the issues that all humans – first world or third – face, such as childcare, elder care, and justice. Not all of their solutions would work in WEIRD societies, and many of them we would never consent to enact, but there are many things that some traditional peoples do better than most WEIRD peoples. There are things we can learn from these societies; we cannot merely dismiss them as “primitive” (a problematic and condescending term, to be sure) and ignore them. 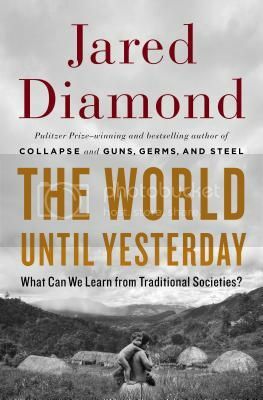 Whatever problems The World Until Yesterday might have, it is always valuable to learn about and from other cultures, and Diamond does a fabulous job presenting much of the breadth of how traditional societies have functioned. Recommended. Lila is really happy with her new life. 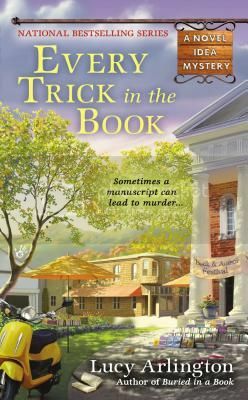 She’s moving into a cute new cottage in Inspiration Valley, North Carolina, and being a literary agent seems as if it is her perfect job. Even the men in her life are falling into line. Sure, she hasn’t gotten much time yet with her handsome police officer beau, but there is definite potential there, and her son’s time at the commune up the road seems to be maturing him – which is a relief after how concerned Lila was about him deferring college. Everything seems pretty close to perfect, until the Inspiration Valley Book and Author Festival. First Lila has a run-in with a strange and menacing man, then she finds the body of a dead editor who could be her twin. Now Lila needs to figure out what happened and why, or it could be The End for her. Every Trick in the Book is the second in the A Novel Idea Mystery series, but I did not feel that I was missing anything significant by not reading the first book, although it seemed as if Lila’s personal life is starting to pick up and it will become progressively more difficult to pick up the series without reading the earlier books as it goes on, so it is a good thing I’m getting in now. Honestly, though, I think the best cozies are the ones where it does matter, at least a little bit, what order you read them in. Like Julie Hyzy’s White House Chef series, where the main character and her relationships with those around her grow and change over time. Every Trick in the Book is very much in that vein, with a very engaging main character and a fun style. As fun as it is, there is a bit here that seems anachronistic. One is the fact that Lila’s agency still accepts queries by mail, which is not terribly common any longer – although they do seem to communicate mostly by email, which mitigates that a bit. The other is a reference made to the Twilight series, saying that Bella would ‘become a vampire’ by the time something happened. Considering the last Twilight book (in which, spoiler alert, Bella does become a vampire) came out about 5 years ago, and even the last movie came out about 6 months before the book was released, this seems an odd reference. However, I noticed both of these issues towards the beginning of the book and there either were no more after that, or I was having too much fun with the story to notice and care because this is a very engrossing cozy. This is a very enjoyable read and, seemingly, a very promising series. Recommended. In the early years of the 11th century, King Athelred of England loses his long suffering wife in childbirth. If it were up to him, Athelred would decline to marry again, for fear of creating tension between the children of two separate wives. There are political concerns he must attend to, however, the most pressing of which are the repeated raids by Danish Vikings upon English seaside towns. The most logical choice seems to be to marry one of the sisters of the Duke of Normandy, they are the children of a Danish mother and the Vikings often make use of the ports and markets of Normandy. Athelred believes that the Duke of Normandy may have influence over the Viking King and that, by marrying one of his sisters, he can protect England. Enter fifteen year-old Emma of Normandy. Emma has great strength of character – at least greater than her sister, who is also in poor health. She is sent by her brother to be Athelred’s queen and wife, as well as a virtual hostage for the good behavior of Normandy and the Vikings. Athelred is not a particularly loving man, particularly as Emma’s status as Queen – a status his first wife did not hold – dredges up guilt-laden memories of his own childhood, memories that cause him to act with particular hostility towards him. Can I just say how excited I am to have a work of historical fiction set in 11th century England? In the past few years authors have branched out from the Tudors, but the majority of works do not venture earlier than Henry II and Eleanor of Aquitaine, so to learn about Athelred and Emma was absolutely thrilling for me. Pre-Norman Christian England is just a totally novel setting for me, and Bracewell does not disappoint. Emma is a woman absolutely worth novelization and she and her rival Elgiva are both absolutely fascinating characters. 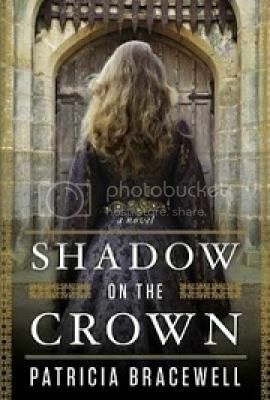 Shadow on the Crown is the first book in a series and, although Bracewell wrote it so that apart from some minor foreshadowing it stands alone very well, I cannot wait to see how the lives of these characters develop. I am unsure how long Emma lived, but I am hopeful that by following the arc of her life over the course of these novels I can gain some insight into what happened in English history to lead to the Norman invasion of 1066 (you know, since she was the sister of the Duke of Normandy and all). One note: Shadow on the Crown has more than its fair share of misogyny and violence against women. I have this picture in my mind (based on basically nothing at all, I admit) of pre-Norman England as being quite the violent and uncivilized place, so I personally found it entirely believable. It was also used as a method of characterization for characters who are, at best, unsavory. Yes, the instances of violence made me cringe, but I considered them and decided that they worked for me in this specific instance (particularly as they are not glorified). However, this is definitely a case of your mileage may vary, as I know at least one person for whom this ended up being a deal breaker, in regards to her enjoyment of Shadow on the Crown. 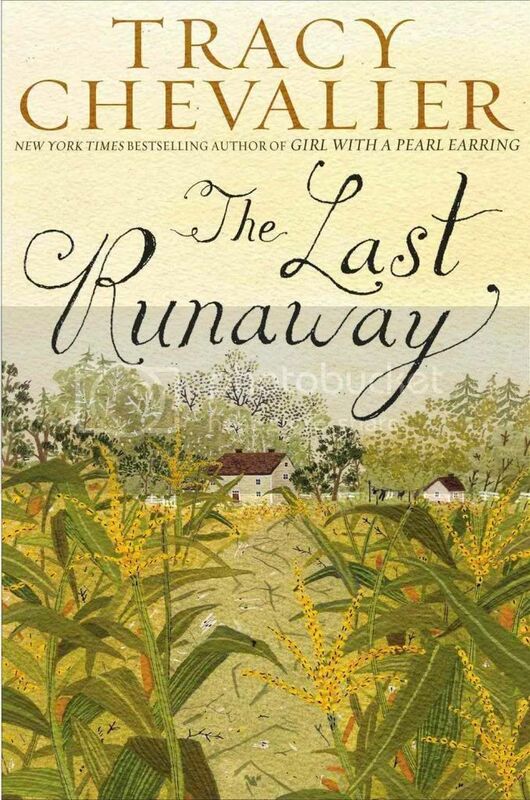 Overall a very enjoyable book about a seriously underrepresented time period. Recommended.